Found 5 tours matching "onepiece"
1. 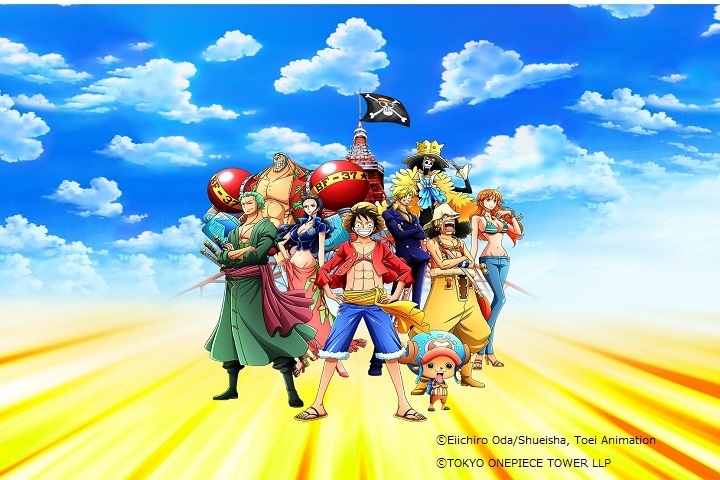 This specially priced ticket set is reduced to JPY 2,900 (per adult) and includes access to the Tokyo ONE PIECE Tower (park admission and attractions) plus admission to the Tokyo Tower Main Deck. With this pass, you can enter the theme park at any time on the specified date. 2. For the first time in "ONE PIECE" history!! A large-scale theme park!! Everyone from kids to adults will surely find themselves immersed in the charm of ONE PIECE with attractions, life-size figures, displays of original illustrations, a shop with original merchandise, restaurants with themed menu items, and plenty more found only here. 1. Experience the exhilarating world of the hit manga/anime series "ONE PIECE" in the world's only indoor large-scale theme park! It is located in Foot Town inside Tokyo Tower, the symbol of Tokyo, so everyone can visit and have tons of fun no matter the weather. 2. Normally JPY 3,200, this pass is available for just JPY 3,000! This plan includes an admission ticket and a pass for attractions and a live show. Watch the massively popular live show, which makes use of projection mapping and created under the full supervision of One Piece manga artist Eiichiro Oda, at the specified time. 3. For the first time in "ONE PIECE" history!! A large-scale theme park!! 2. Normally JPY 2,200, this discount ticket is offered at a special price of JPY 2,000. It includes admission to the theme park and to the attractions. With this pass, you can enter the theme park at any time on the specified date.